The ELMWOOD optometry clinic was founded in 1978 by Dr. George E. Caissie. The team expanded in 1984 with the arrival of Dr. Dominique Gordon-Phelan and again in 1997, when Dr. Tina Miller joined the team. It is now growing again with the addition of Dr. George's daugher, Dr. Melanie Caissie. 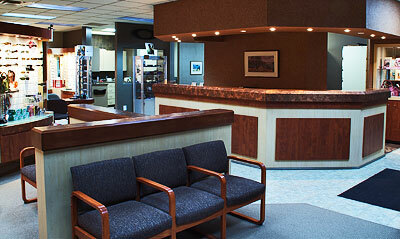 The clinic has been at its present location for over 11 years. The clinic's mission is to help every member of the family achieve optimal vision through attentive, comprehensive vision and eye care services as well as innovative products suited to their needs. Our team listens to you and offers better service based on your needs, budget, and optical correction. Get in touch with us if you or a family member has vision or eye-health issues. We can also fit your glasses and contacts lenses and advise you in selecting frames and lenses. In addition, our clinic has easy wheelchair access.